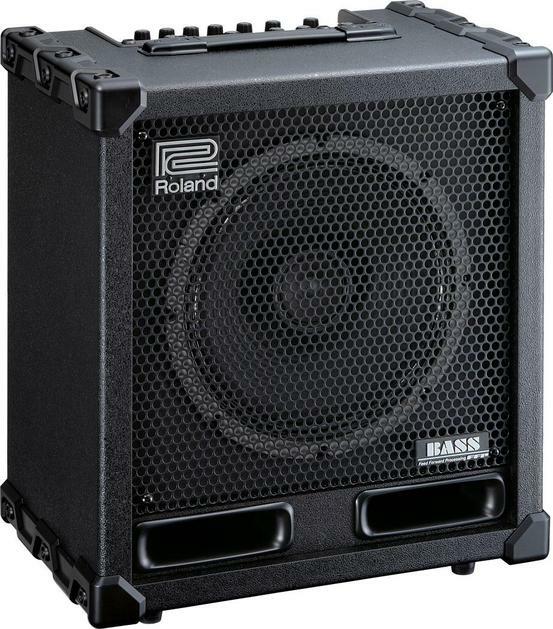 Just as the CUBE guitar-amp family received an XL upgrade, now it’s time for the CUBE BASS line to reach XL status. The new CUBE XL BASS amplifiers remain portable and travel friendly, a CUBE tradition, but they benefit from new-generation XL performance enhancements. These new amps deliver a knock-out punch with custom FFP and COSM technology. FFP is one of Roland’s core technologies in which each component — amp, cabinet, and speaker — achieves maximum efficiency and performance for incredible power from a compact body. CUBE-120XL BASS, the flagship of CUBE bass-amp family delivers 120 pumpin’ watts of power through its 12-inch-high-performance coaxial speaker. This amp will punch its way through any mix, and affords players plenty of flexibility onstage. Create a universe of instantly selectable tones with eight COSM amp models, including the new SUPER LOW, plus 4-band EQ, wicked effects, and Looper — a world’s first for bass amps!